Hello, I would like to see more pictures of the 2016 CHRYSLER 200, stock# C1005. Hi, my name is and I am interested in your I need info about your 2016 CHRYSLER 200 (C1005). Leather, Bluetooth, Aluminum Wheels, Back-Up Camera, iPod/MP3 Input, Satellite Radio. S trim, Billet Silver Metallic Clearcoat exterior and Ambassador Blue/Black interior. FUEL EFFICIENT 36 MPG Hwy/23 MPG City! AND MORE! Leather Seats, Back-Up Camera, Satellite Radio, iPod/MP3 Input, Bluetooth, Aluminum Wheels MP3 Player, Keyless Entry, Steering Wheel Controls, Child Safety Locks, Heated Mirrors. Chrysler S with Billet Silver Metallic Clearcoat exterior and Ambassador Blue/Black interior features a 4 Cylinder Engine with 184 HP at 6250 RPM*. Steering is extremely precise and the handling is better than most in this class. -KBB.com. Great Gas Mileage: 36 MPG Hwy. Was $26,299. Approx. Original Base Sticker Price: $30,000*. Watertown Ford Chrysler was awarded the Presidents Award from Ford for outstanding customer service and sales performance. We promise to always have one low price, a relaxing shopping experience with a consultative sales process, real cash value for your trade and competitive financial services. Stop in today! Pricing analysis performed on 9/28/2016. Horsepower calculations based on trim engine configuration. Fuel economy calculations based on original manufacturer data for trim engine configuration. Please confirm the accuracy of the included equipment by calling us prior to purchase. *All payments and terms are subject to availability. Default estimated payment is based on 4.9% rate for 60 months and $4,919 down payment. Estimated payments are for informational purposes only and don't account for acquisition fees, destination charges, tax, title, and other fees and incentives or represent a financing offer or guarantee of credit from the seller. Please send me the vehicle history report for your 2016 CHRYSLER 200 (C1005) that I saw on the CarShopper.com. 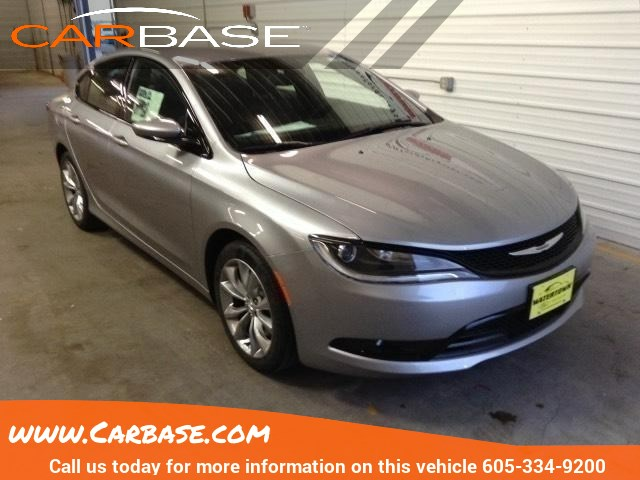 I am interested in this 2016 CHRYSLER 200 (C1005) that I saw on the CarShopper.com. Please contact me with more information.